If it is not obvious by now, it should be -an attempt by the Central Banks of the West to derail the rise in the gold price is currently underway. I mentioned in my midday comments that an effort would take place to prevent gold from moving beyond $1900 in an attempt to paint a double top on the daily price chart and induce a round of technically related selling from speculators on the long side. 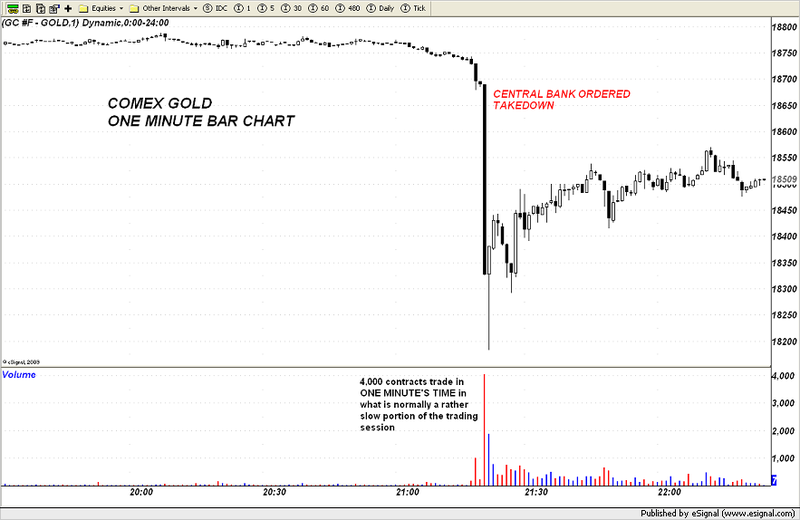 This effort can clearly be seen in the following ONE MINUTE BAR CHART which reveals an enormous spike of 4,000+ contracts in the middle of the evening during a time period in the gold trading not normally known for this sort of volume. The question must now be raised - if this was a hedge fund blowing out of a long gold position, why wait for such a low liquidity environment in which to execute to trade knowing full well that by so doing, one would be guaranteed the worst possible exit price for the trade. Also, since the price of gold has been RISING and NOT FALLING, why would any gold long be forced to unload a position. It certainly is not under any duress from price action. We can probably eliminate this as the cause therefore since only the rankest of fools would attempt such a thing. The next question that must then be raised is if this were a hedge fund doing the selling to establish a fresh short position, why would they sell in such size at such an hour guaranteeing themselves to be filled with a fresh short position at the worst possible price by selling into a hole? The logical answer is that they would not do such a thing. By the process of elimination and due to the fact that a major attempt by a Western Central Bank (the Swiss National Bank) to deliberately debase their currency occurred less than 24 hours previous to this selling barrage, added to the fact that an obvious raid took place on gold knocking it down below $1900 during the time frame in which the Swiss Franc devaluation was announced, this huge sell order must be therefore traced back to the Western Central Banks which are now going after the gold price in an attempt to cloak their utterly incompetent, impotent and predictable response to the current economic woes of the West. To assume that the ECB, the Federal Reserve, the Bank of England, the BAnk of Canada, and any other major Central Bank of the West did not have previous knowledge of the plans by the Swiss National Bank to debase the Franc is to live in a fantasy land and be devoid of all sound wisdom. Of course they knew beforehand as something of this importance would not be done unilaterally by the Swiss. The attack on Gold is therefore an effort by these modern day alchemists who are attempting to achieve prosperity by magically altering slips of paper into something that might constitute value in the eyes of the beholder to discredit the yellow metal and send it carreening lower. China must be watching this with both disgust and delight. Disgust in seeing the depths of corruption that ails the Western monetary system and delight in the fact that the machinations of these conjurers is providing a discount in the price of the metal which they will be more than pleased to accept. Hey Dan glad you commented on this so soon, was just going to post a comment asking you about this, wow 2nd time this has happened so soon. Are they getting desperate or what? Will we see another May massacre? I thought it was kind of amusing, since I happened to be at the computer and noticed the sudden drop as it happened. Chalk up a small buy order for me at $1830. Now I'm wondering which major event is going to trigger mayhem during the London session or later in the week. There's a nice summary of gold manipulation tactics based on ancient warfare that ties in nicely. as well as the movement in the Euro/dollar yesterday, near to fall under 1,40.
so there must be some limit but what? "...and be devoid of all sound wisdom". What a perfect quote for our times. I will be using this periodically with your permission Dan. This simply displays the weakness in the current system. Clear indication to the world that the west is failing and thrashing about desperately, undoubtedly the thrashing will become ever more violent. Only solution is to keep stacking the phys whilst waiting for the final meltdown. However will also be buying contracts on PAGE when they launch. Thanks for posting this, Dan. I watched it as it happened. The shorter charts were looking weak and for the first couple seconds I wasn't surprised to see a small breakdown. But for me, it was the volume spike that made this so clear. I combed the internet for some breaking news story but didn't see anything so I concluded the same as you. I must say that although the nascent fake-double top that has been painted is a little ominous, there still seem to be firm uptrends behind both of the metals, particularly gold. These central planners thus far have only been able to influence the price at the margins. Sometimes it snowballs into a more major trend. We will have to see this time. Dan, I agree with everything you have said - except the bit about the Chinese. Sure, they will be delighted to accept the discounted price of Gold - but disgusted. No, I don't believe so. Please don't ask me to believe that they are, or will be, above and beyond price manipulation when it suits them. Right now, they are learning from the actions of a corrupt Western Banking system and they are making notes. In the future they will do exactly the same and if the West complains they will simply say 'but we learned it from you'. More fool the West. Gold is on sale. Get while it's cheap-ish! Thank you for tying everything up so neatly and, just as important, so quickly. It would have taken me considerably longer to connect all of the dots, if I had been able to connect them at all. Perspicacity, thy name is Dan. Thank you once again. Ed Steer likes to use the term "not for profit sellers" to describe the jerks selling gold and silver with an intention to suppress. 1,497.00. This morning, that gold would be worth: 1,620.00 for a 10% gain overnight. This is the power of gold. It will at some point turn on them as well. It is as it will always be. Manipulated Markets fall much harder. You only buy a little time. Great post Dan! Thanks for your work! I've been a silent reader for months now...I just wanted to thank you for your continued insight. This has become one of my favorite sites. Your work is greatly appreciated!! Thanks for explicating what I already assumed. You and people like you are great. The Central Bank/Bullion Bank cartel does not even bother to try and hide it anymore. 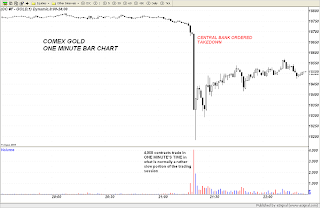 Excellent summary of the gold price manipulation. 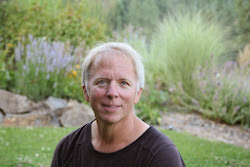 Please keep up the good work Dan, your site is one on my daily reading list and i have recommended it to friends. It is rare to get truly independant ideas and opinions, particularly when reading MSM regarding PMs. Very interesting post. Thanks for bringing this interesting information to readers. I wonder how much western central banks will be able to manipulate the price of gold and what percentage of the gold supply is owned by western central banks? Really mind-blowing mind mapping applications you posted here and i used 2 of them, but i like the mind genius. logo design . It's really amazing work, I am inspired by your work and obviously this blog is perfect. company logo design . Thanks for the comment. In my view,I think box 4.1 in the report and the surrounding discussion is part of the answer. satellite internet. Oh my goodness! Thank you so much! They are just beautiful! I will be trying this very soon. I have seen that in almost countries gold prices are high but I don't understand how we cut down prices of gold? if we give limit for buying golds then its possible.